The best new wireless gaming headsets for Xbox One (on the market right now). How Do You Know These are the Best Wireless Xbox Headsets? Why PC Wireless Headsets (USB adapter) Don’t Work on Xbox One? Is a Wireless Xbox One Headset Worth Getting? Jump to: Best Wireless Xbox Headsets | Bad Xbox Headsets | Why USB Doesn’t Work on Xbox | Confused About Surround Sounds? It’s hard to find a truly wireless gaming headset for Xbox One. There aren’t many available. Also, because Xbox One doesn’t support standard USB audio you can’t use PC wireless headsets. This is why you have to get a dedicated Xbox One wireless gaming headset that was made specifically for Xbox. It takes away from your options, but don’t despair. Note: these are fully wireless – no need to connect the controller to the headset. Below are the best gaming headsets for Xbox One that don’t use wire. 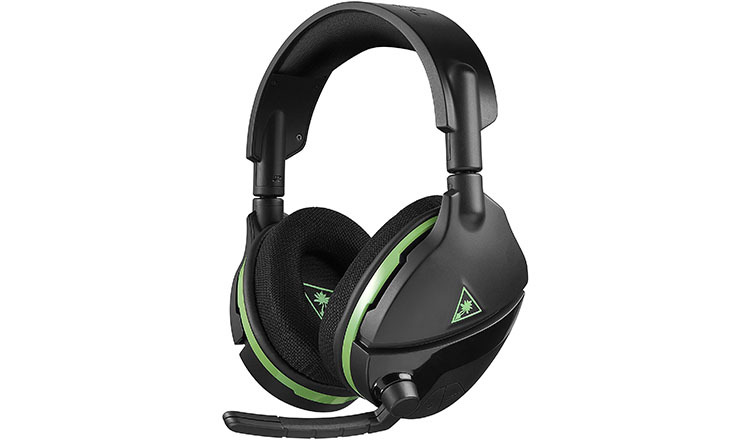 Here’s a list of the recommended cordless gaming headsets for your Xbox One console. The best wireless gaming headset for Xbox One. If you want a great pair of wireless gaming headphones with a reliable microphone for gaming on your Xbox One, get Plantronics RIG 800LX. This Xbox One headset isn’t the most expensive one on our list but definitely our #1 recommendation. This cordless headset does everything you need the right way. Of course, it has great comfort. With suspended headband and plush earpads, you can play games for hours without feeling the heat or discomfort. That’s true even if you wear glasses. It’s well-built and it shows in its construction. Furthermore, you get an amazing 24-hour battery life per full charge. This is better than any other headset on the market right now. The noise-cancelling microphone has a flip-to-mute feature and delivers clear voice audio for chatting with your friends. You connect the gaming headset with a transmitter. It gets about 33ft (10m) of wireless range. With built-in controls, you can control the volume, and game/chat volume. Also, it comes with 4 audio presets. You can change from flat to bass-heavy sound to find your preference. Additionally, you get Dolby Atmos 3D sound which compares to surround sound experience. This Xbox One gaming headset has all the necessary features and gets the comfort, reliability, and sound done right. It could cost more money and still be good value for money. Note: Since this wireless headset is in high demand it might be a bit harder to get (out of stock regularly). Nonetheless, it’s totally worth waiting for it. For the best experience in wireless Xbox One gaming, get yourself Plantronics RIG 800LX headset and don’t look back. The runner-up wireless gaming headset for Xbox One. Thresher is Razer’s direct-connect wireless headset for Xbox One, don’t mistake it for Thresher Ultimate. Note: Thresher Ultimate for Xbox One costs almost double the price while bringing a couple more features; a headphone stand, 7.1 Dolby surround sound instead of Windows Sonic (small difference) and better wireless range. The design is practically the same. It’s up to you to decide if you want to pay a higher price for these additional features. We recommend the regular Thresher but that’s just us. While Razer might not have a great reputation for quality gaming headsets, this one is really good. Thresher for Xbox One stands out with a couple features. Direct-connect to your gaming console, no dongle needed. Windows Sonic surround sound which does a good job at directional audio. Good battery life of up to 16 hours per full charge. And best of all, great comfort. This cordless gaming headset is quite bulky, but that bulk doesn’t hinder the comfort. You can easily wear it for hours without discomfort. Additionally, the retractable boom microphone has Mic monitoring, a mute indicator at the end of it and volume control. With Sonic surround sound activated you’ll hear your enemies much better than before. It has good sound quality for a wireless gaming headset and isn’t as bad as some people say. 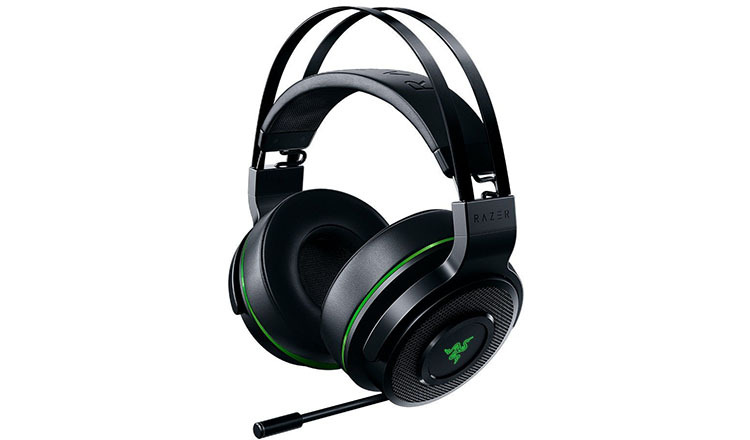 Overall, if you are looking for a comfortable wireless headset for Xbox One that doesn’t break the bank, Razer Thresher (direct connect for Xbox One) is one of the best options. The best “cheap” wireless headset for Xbox One. Turtle beach is a well-known company for making good gaming headsets. While their reputation might not be the best, they create great value-for-money headsets. The Stealth 600 for Xbox One is one of the best they make. Note: You can also get a Stealth 700 wireless headset that offers more features (Bluetooth for mobile, noise-cancellation) but has one big problem; durability issues. With many reports of bad build-quality and thus constant problems it also has a shorter battery life. We recommend you save some money and get the 600 model. While the price of under $100 might not be cheap it’s one of the lowest among wireless gaming headsets for Xbox One. It has good comfort. It’s designed for people with glasses so you can wear them without being blind. The microphone is of good quality and has a fold-to-mute function. The battery lasts for up to 15 hours on a full charge. You get direct wireless connectivity with Xbox One without any adapters. It works out of the box. The addition of special features like “Superhuman Hearing” is just a bonus. Moreover, the audio quality doesn’t disappoint either. There are a couple of presets that change the audio signature to your liking. For directional audio you get Windows Sonic surround sound. For the price, Turtle Beach Stealth 600 for Xbox One is the best-value wireless headset right now. The top premium cordless headset for Xbox One (when it works). 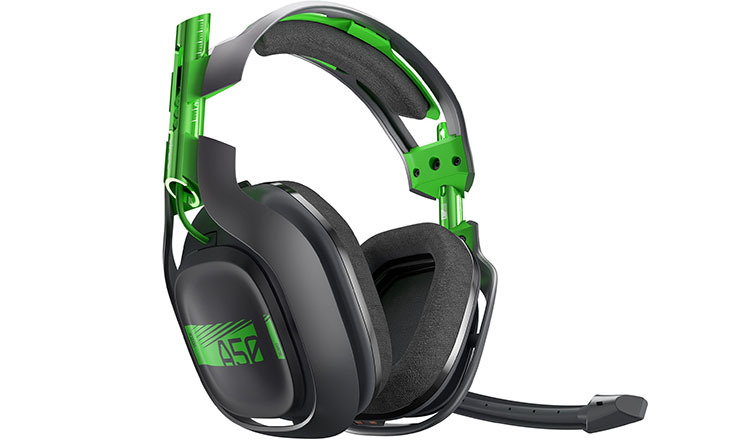 If you want the best that’s available on the market then you must check the Astro A50. This wireless headset offers more features than any other alternative. This is a great gaming headset when it works. The problem is a rather large share of dysfunctional models (according to reports from Amazon). Connectivity issues are the most common problem. Thankfully, Astro has a decent 1-year-warranty. So if you’re willing to take a bit of a gamble this is a great headset. Comfort is absolutely fantastic. Big plush earpads offer comfort for hours on end. The ear cushions can be replaced for a customized experience. It is well built and feels sturdy. It comes with a transmitter that also works as a charging station. You get up to 15 hours of gaming out of it. 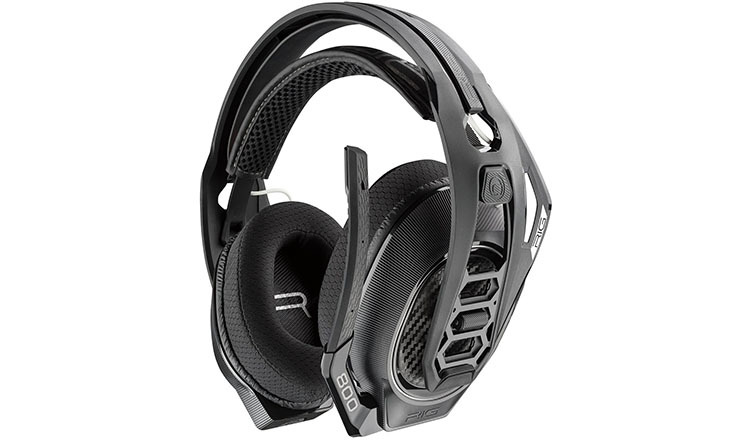 It has a built-in MixAmp for easy audio settings, fold-to-mute microphone, and Dolby Headphones 7.1 surround sound. If you want great performance for all game types and lots of functionality A50 is a great option. While it costs quite a bit of money and you take a bit of a risk by possibly getting a faulty headset this is still one of the best premium wireless headsets for Xbox One. For those of you who want the best of the best and are willing to pay the price, check out Astro A50 wireless headset for Xbox. Turtle Beach Ear Force Elite 800X – While this might seem like a good alternative, it costs quite a lot and fails on build-quality. There are better wireless gaming headsets for Xbox One out there. SteelSeries Siberia X800 – The problem with this headset is that it’s not fully wireless. You need to connect the headset with the controller with a wire for chat to work. Our recommended headsets for Xbox don’t require that and are fully wireless. PDP Afterglow Prismatic AG9+ – This might seem like a good budget alternative but it has issues. Durability issues, especially the microphone which stops working or performs badly for a lot of people. If you want to save money, get our recommended headset for Xbox One on the budget above. Finding the best wireless gaming headsets for Xbox One took quite some time. The problem is figuring out which headsets are compatible with Xbox. All of the headsets apparently have to be made by Microsoft specifications for compatibility. So this is the main feature of a good Xbox One headset, great wireless compatibility with the console. A lot of the self-proclaimed “wireless” headsets for Xbox One still require you to connect the controller with the headset with wires. In our opinion, this isn’t really wireless. You can be sure all of the headsets recommended here are truly wireless and don’t require any wired connection to the headset at all. Because you are dependent on the stability of the wireless connection for sound this is very important. The wireless technology is not yet as stable as a wired connection. This is why connectivity issues are quite common. The wireless Xbox One headsets that otherwise had good sound, comfort, and features but lots of reports of disconnections were not included in the list. 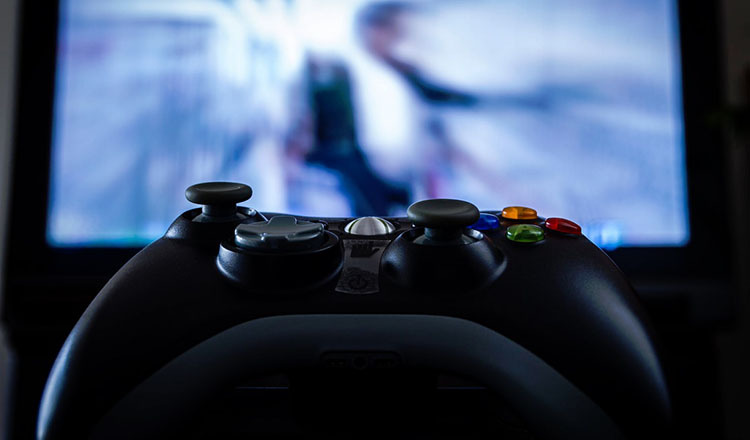 A reliable wireless connectivity for hours of playing with minimal disruptions is necessary for a good gaming experience. Comfort is of course always important. Especially since you very often wear a gaming headset for hours on end. Those gaming sessions can get really long sometimes. Good cushioning on the headband. Big ear cups with thick padding. Designed for people with glasses. Not too heavy on the head. These are all things important for a comfortable experience. Want to check out the most comfortable in-ear headphones? Nowadays, there are a lot of options when it comes to sound. Most gaming headsets have multiple sound presets to choose from. While audiophiles might not rave on the sound quality, most people like having multiple options. We included headsets with good sound and equalizing options. Another factor is surround sound or 3D sound. In gaming headphones, virtual surround sound is the most common. But there are a few differences among them. Some are more advanced from others. Some require special software or platforms to work properly. Most of the recommended headsets for Xbox One have some type of surround sound. It makes gaming more immersive and fun. Durability is the last but not the least important feature. How long a headset will last is always an important question. Especially since a lot of them cost quite a bit of money. You want your investment to last. Making sure you get many years of epic gaming out of it is important. Thankfully, a lot of gaming headphones from established brands have decent build-quality so you can expect at least a couple of years of use. Usually just looking and feeling the headset in your hands is enough to measure build-quality. We think all the recommendations have at least good durability. What is Windows Sonic Surround Sound? There is a good explanation here. What is the difference between Dolby Atmos vs. Windows Sonic? In real life there isn’t much difference. One is not necessarily better than the other. You can get more info about the comparison here. Xbox One doesn’t support standard USB audio. This makes standard cordless PC headsets incompatible with Xbox One. Usually, you have to connect the headset with the Xbox One controller with wires. It means they aren’t truly wireless and a lot of the features don’t work. It’s the result of Microsoft politics since PS4 does support standard USB so Xbox could support it too. Maybe in the future, they’ll add it. Can you connect standard Bluetooth headphones on Xbox One? No. Xbox One doesn’t support Bluetooth. You can only use specifically compatible headsets. Have we missed anything that you want to know about. Please let us know in the comments below.